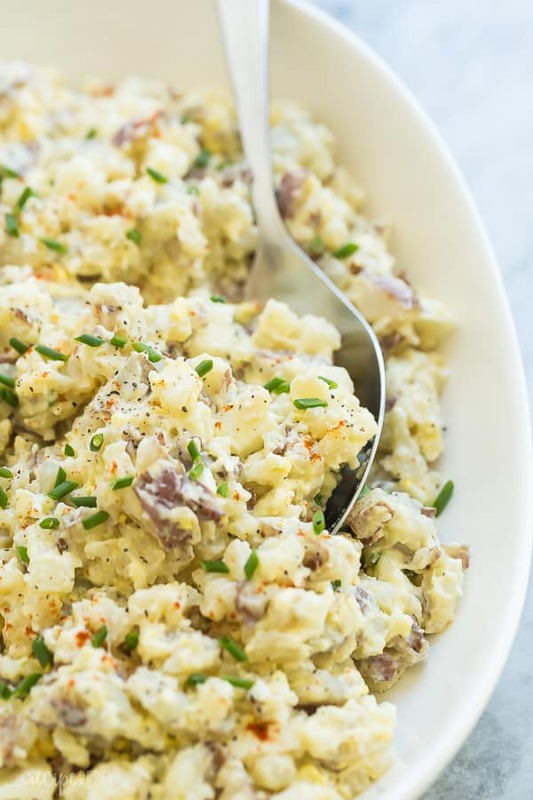 This Easy Potato Salad Recipe has just a few simple ingredients, a creamy mayo-based dressing, and is loaded with tender chunks of potatoes and hard-boiled eggs. It’s perfect for making ahead! 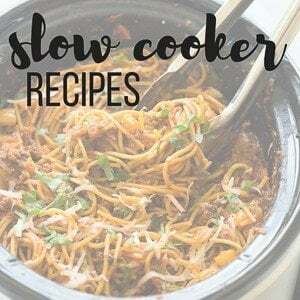 This recipe appeared first on The Recipe Critic. Summer is in full force over here and we’re allllll about easy! 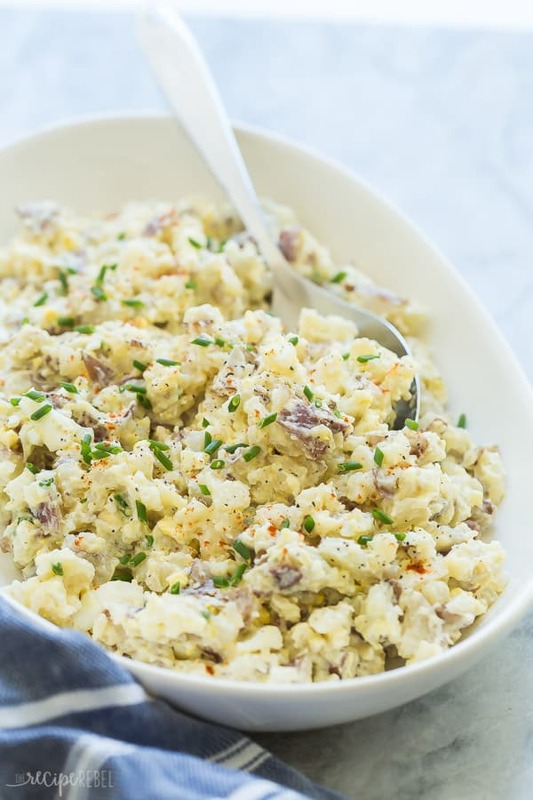 Cold salads and grilled meat (hot dogs, burgers, steak, chicken…) is the way we roll most of the time, and this Easy Potato Salad recipe is a staple! I know that everyone has their own variation on potato salad, and what makes a potato salad authentic. Some people add celery (no thanks! ), dill pickles, pickle juice, bacon, mustard, etc., etc., etc. But I wanted to show you a simple, easy Potato Salad recipe that you can take and make your own as you wish. 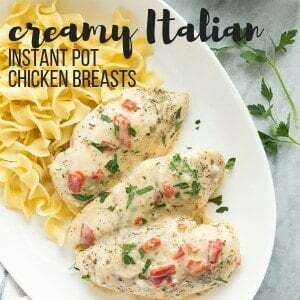 Because we’re not big fans of recipe rules around here! Choose the right potatoes. You want to choose good potatoes for boiling, ones that are going to cook up nice and creamy. I like red potatoes or little yellow potatoes. I also prefer to choose something with a smooth, thin skin as I refuse to peel potatoes! (If you insist on peeling them before making this salad, then that isn’f a factor for you). Add the eggs: you can definitely skip the hard-boiled eggs if you prefer, but I think they add a little variety and some extra creaminess to the salad. Plus, protein! Mix things up: add in some fresh chopped dill (my favorite! ), some crispy bacon, a splash or barbecue sauce or — gasp — even Sriracha! Feel free to experiment a little until you get your ultimate combination. Buy pre-cooked, pre-peeled hard boiled eggs. Friends, these things are so awesome in a pinch. I actually hate making hard-boiled eggs, and will often buy these when I need a quick potato salad. Shell your eggs and bake. 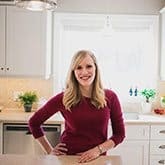 If you don’t want to buy hard-boiled eggs, you can simple crack the eggs into silicone muffins cups or a small silicone pan, and bake until done. No need to stir! You want that nice yellow yolk in tact after baking. This Easy Potato Salad Recipe has just a few simple ingredients, a creamy mayo-based dressing, and is loaded with tender chunks of potatoes and hard-boiled eggs. 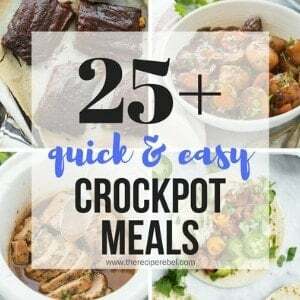 It's perfect for making ahead! « No Bake Cheesecake Recipes — easy and delicious! This is the BEST potato salad recipe I’ve ever made! SOOO good! 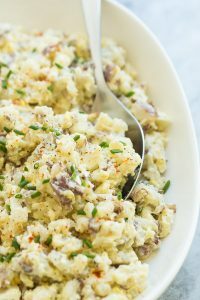 I love potato salad and this is the perfect version of it! Yum! I love how easy this Potato Salad is! And super tasty too! Excellent potato salad recipe. I love the egg addition! Everyone needs a solid potato salad recipe that will be a hit. This one is perfect.